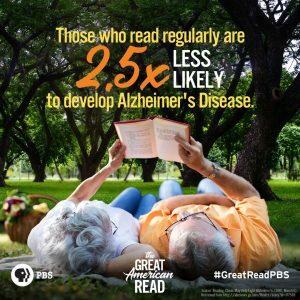 Everyone is talking about PBS’s The Great American Read. 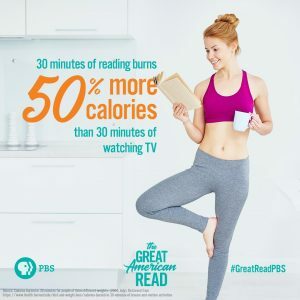 From the television show to the companion book, people are exploring the country’s 100 favorite novels and voting for their favorite. 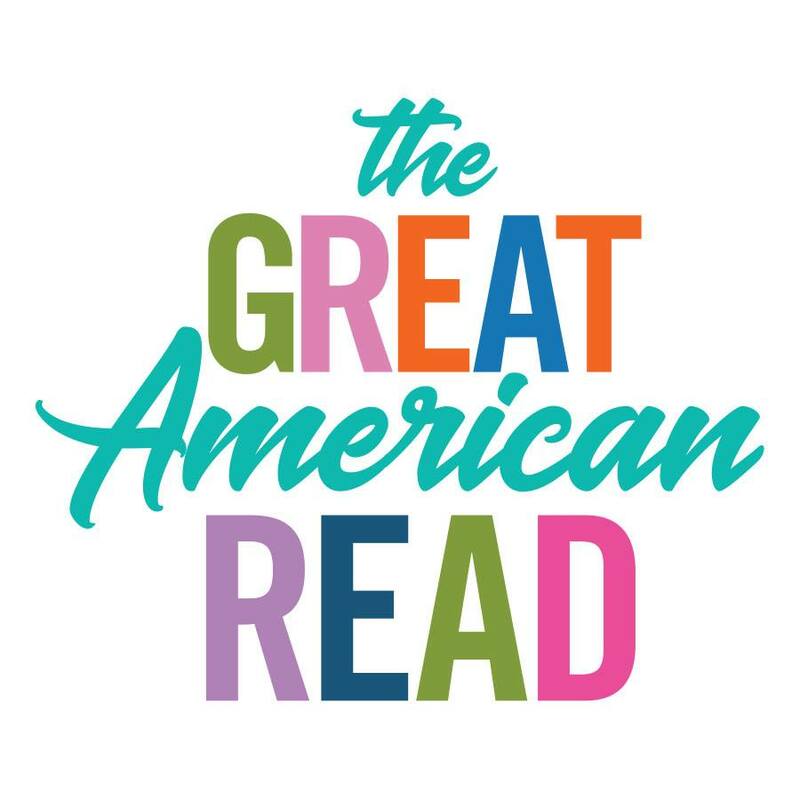 Check out the Great American Read website to find out more about the top 100 novels, discover how to vote for your favorite, and keep up with all of the fun and excitement of the television how. 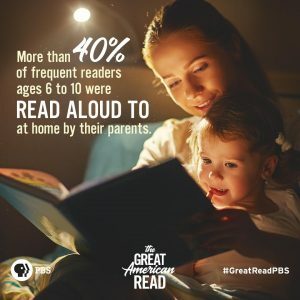 Or, check out the list of books here.There is lots of great information about the books, how they were chosen, what other people’s opinions are, and all of the social media buzz. Share your story about your favorite title. Your library has pulled many of the titles we have on hand into a display by the front doors. Titles not available in print are available as ebooks or audiobooks on our Overdrive Libby app.